Prices might be revised may at a later date but because this is a small production, it won't get any better for now. You'll see there are discounts for big orders though ! All models are sold with a plastic bases and metal shields. 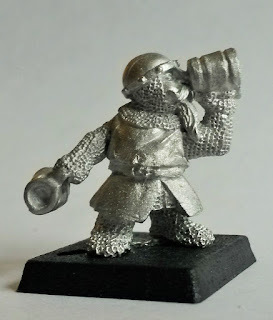 Several packs include special gift miniatures (see at the end). These models are only available through those packs. Pack contains one Hero and his mounted version on pony. Pack contains 4 foo Heroes. Pack contains 10 troopers including 1 champion, 1 standard bearer and 1 musician (specify spear or hand weapon). Pack contains 4 mounted dwarves with spears on pony. Pack contains 4 mounted Heroes on pony. Pack contains 8 different ponies without dwarf. Pack contains 20 troopers including 1 champion, 1 standard bearer and 1 musician (specify spear or hand weapon). 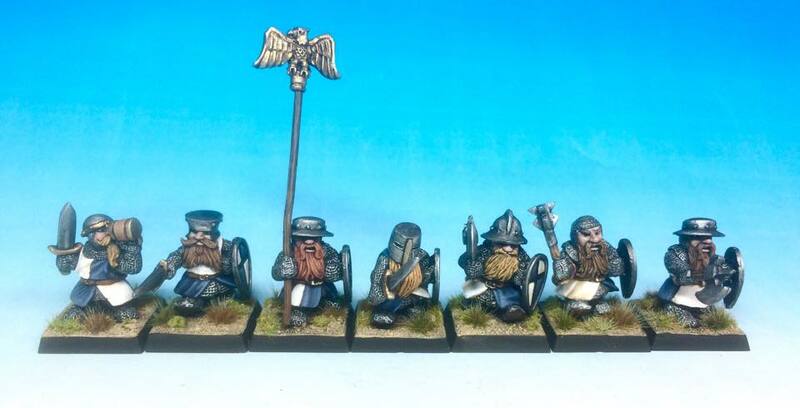 Pack contains 8 mounted dwarves with spears on pony including 1 champion, 1 standard bearer and 1 musician. All orders are sent in a padded envelope and with priority shipping. This page is still under construction thank you for your understanding. YOU'LL CAN BUY IT !!! I FINALY FIXED THE DATE FOR MY PROJECT !!!! The BOOD-WARGAMES project will therefore begin on 13 september !! !